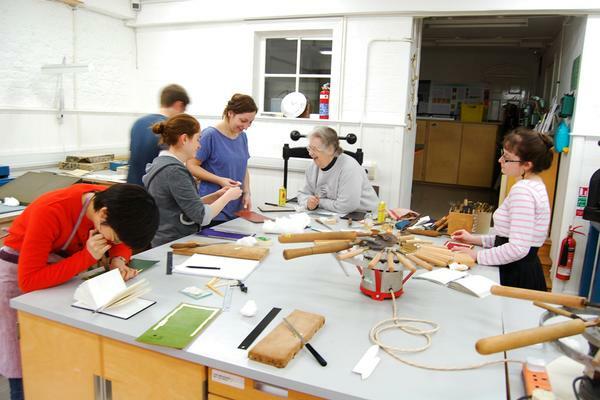 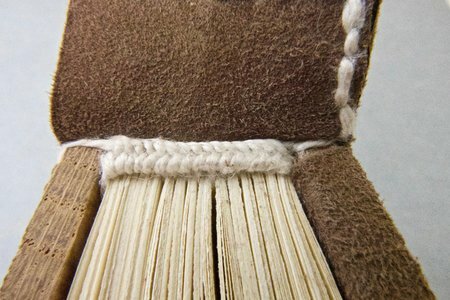 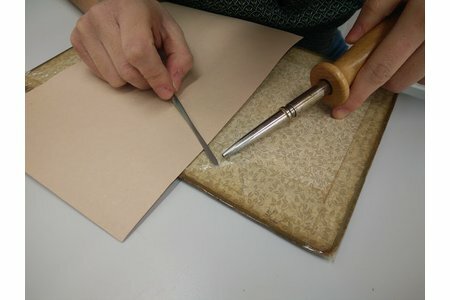 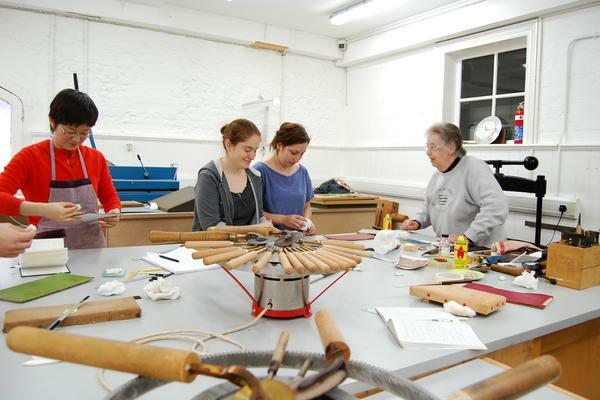 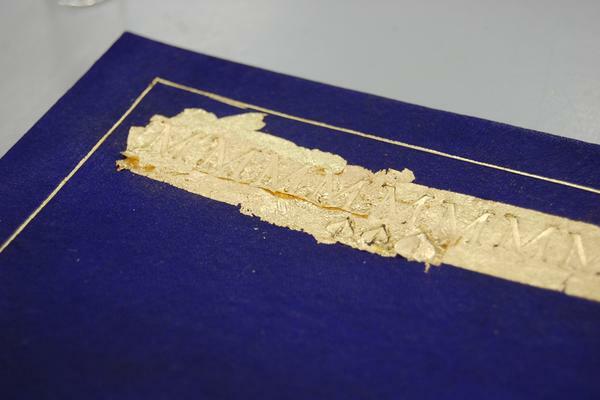 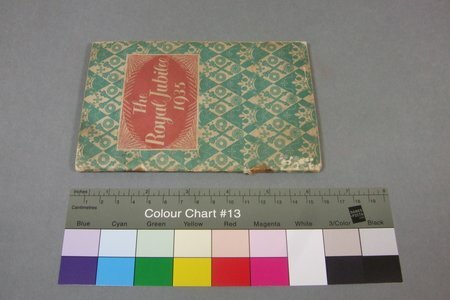 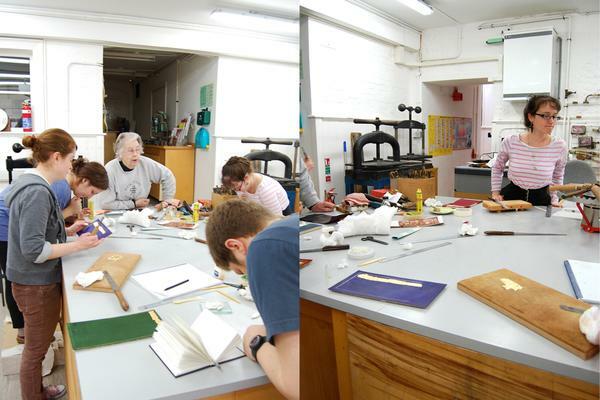 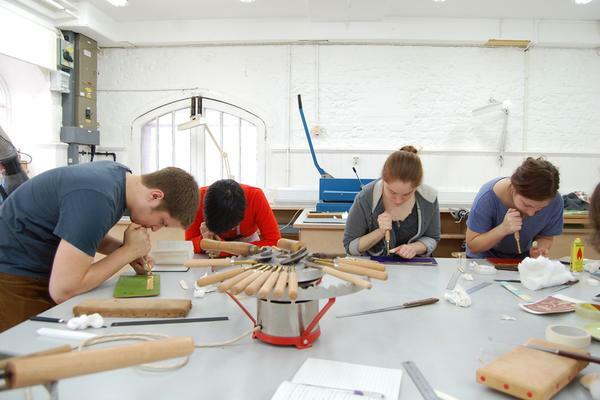 Maureen Duke, a much-loved local bookbinder, came to West Dean a few weeks ago to teach finishing to some of the graduate and postgraduate Books students. 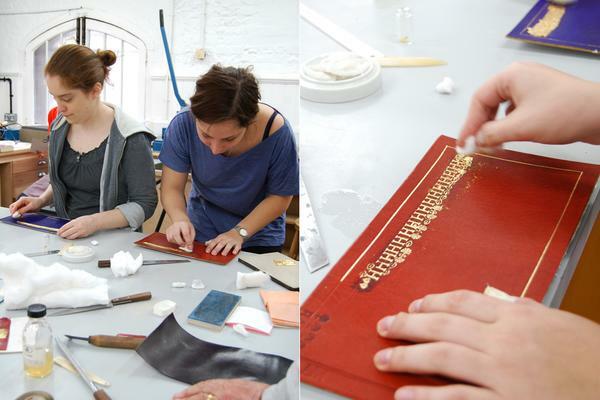 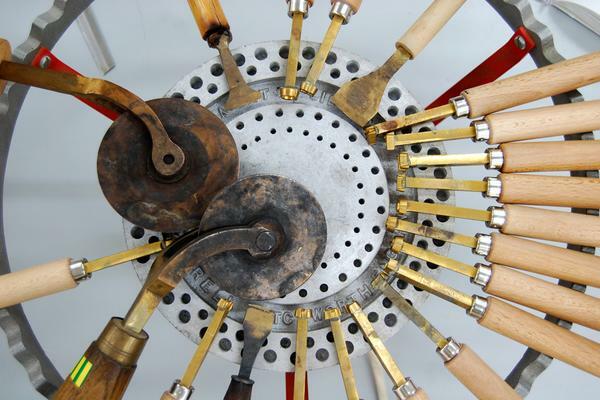 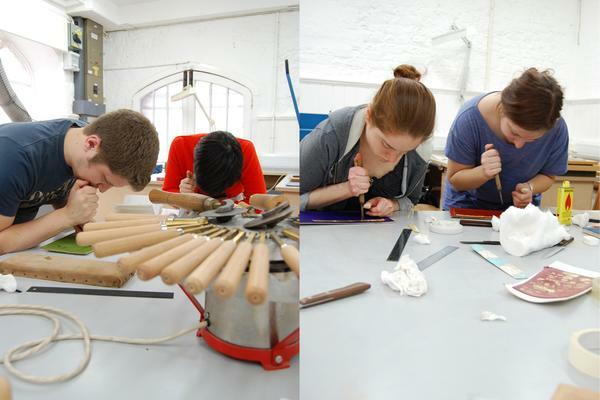 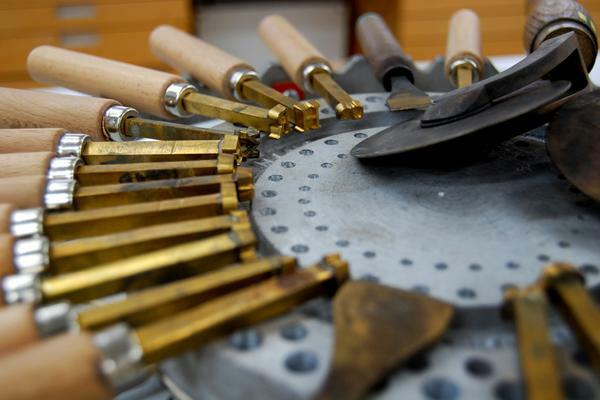 They learned to tool in blind and gilt on leather panels and didn't break focus when I stuck my camera in their faces! 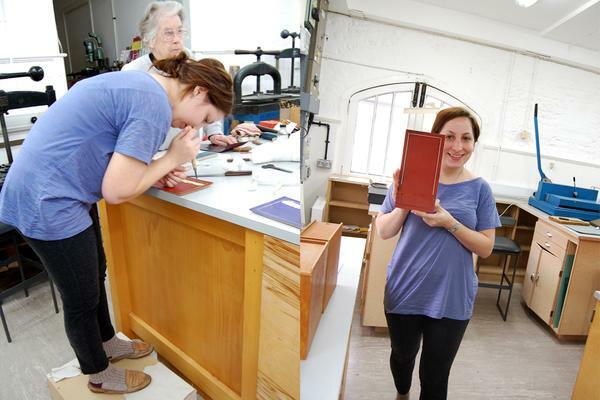 Don't laugh at Sibel's footstool---proper height is key to even pressure.